This month’s The Hungry Truth post is a guest post from Kate Griswold. 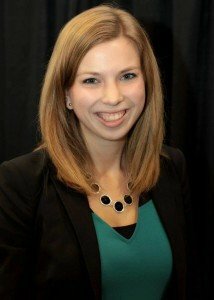 Kate is a senior at University of Wisconsin – Madison, Life Sciences Communications with Certificates in Agricultural Business and International Agriculture. Kate grew up on her families hobby farm just west of Madison in Black Earth, WI. During her youth she showed beef cattle and hogs through 4-H and FFA and is pursuing a degree in Life Sciences Communication. After graduation she is excited to start her career with John Deere as a Marketing Representative. In her role she will have three rotations related to sales and marketing for a total of 15 months of training. Outside of her college coursework and club involvement, Kate loves to travel, watch Badger sporting events and take photos. I have always had an interest in seeing the world and learning about how other people live; the way people go about their daily lives, produce food and distribute it fascinates me. 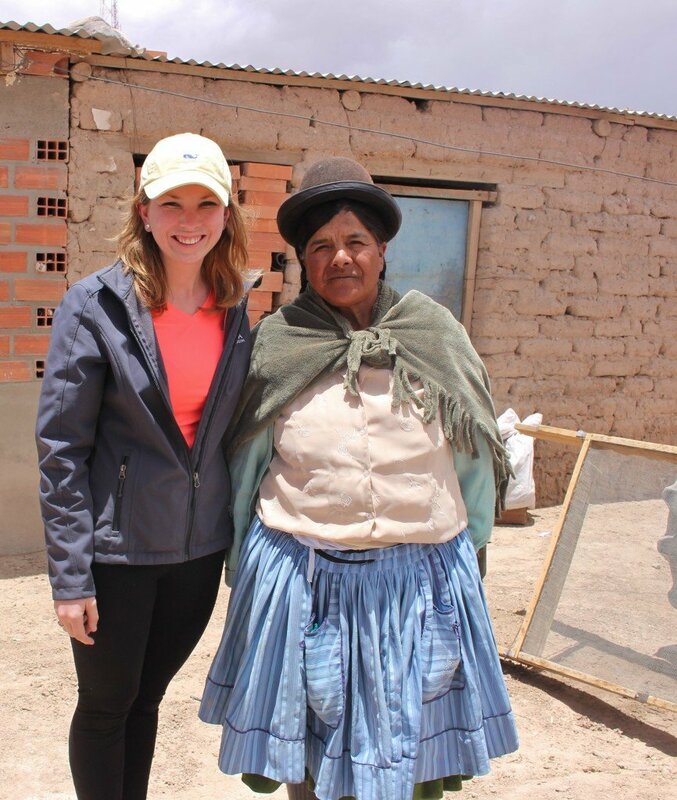 This winter, I was able to make that dream reality when I traveled to Bolivia to learn about hunger and market access through the Agriculture Future of America (AFA) Global Fellows program. 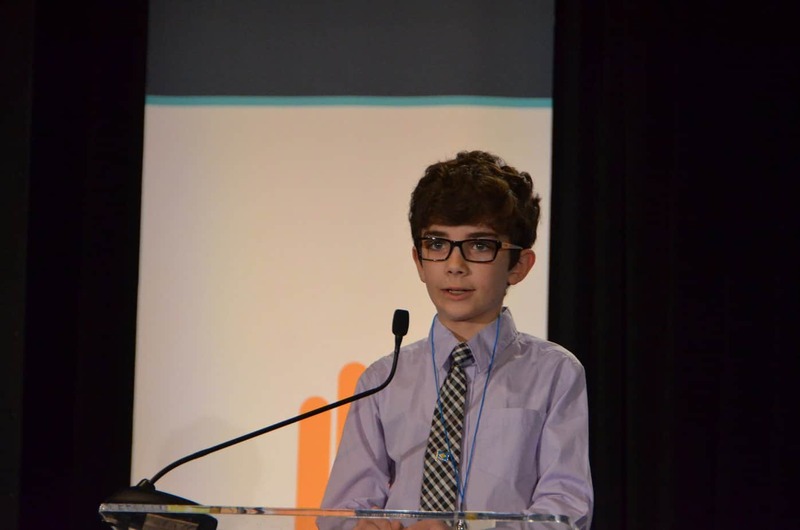 Read more about the overall program here. While in Bolivia we studied quinoa production. Quinoa, a gluten free grain that has gained popularity in the US, is exported from Bolivia. Bolivia is one of the largest quinoa exporters in the world, yet still the poorest nation in South America. 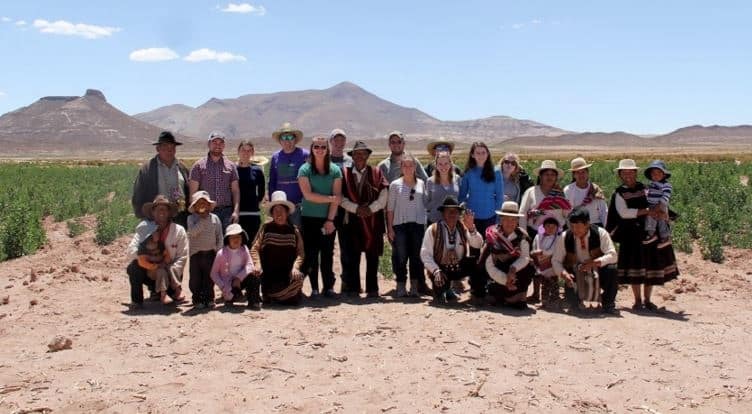 We spent the bulk of our two and a half weeks visiting small communities that grow quinoa, talking with people about their production methods and touring farms, fields and processing plants. While touring many different locations, we dabbled into the culture and saw a lot of things that reminded us we weren’t in America. In cities it wasn’t uncommon to have unpaved roads and stray dogs running everywhere. Seeing men sitting along the buildings with a jar in hand, women begging for money with their children traipsing behind became the norm. You couldn’t walk a block without seeing piles of garbage, belongings and leftovers dispersed everywhere. When we drove into the country, there weren’t as many dogs or people begging for money, but we continued to see heaps of garbage. Small communities we passed through usually had one dirt road with a few brick buildings, aluminum roofs and people with very few teeth peeking out the windows. 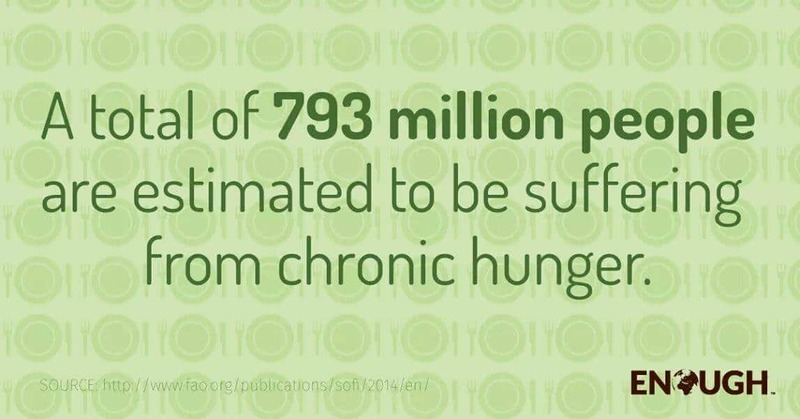 Although we didn’t see people withering away from hunger, we experienced their diets. 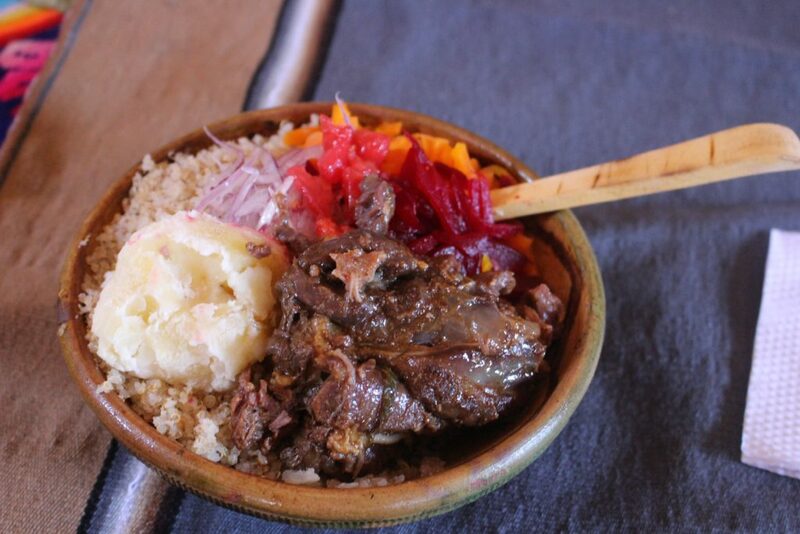 The food consisted of quinoa, potato, a few vegetables and llama. Availability of fruits and vegetable are limited. No matter what community, the food was monotonous. The face of hidden hunger isn’t always easy to identify, but with such repetitive diets, the people are lacking the essential vitamins and minerals, affecting their overall health and well being. There were times I couldn’t help but want to leave, but I was thankful I had somewhere else to call home. This was their reality. There was no escape from the drought that was causing their empty fields, no escape from the lack of infrastructure inhibiting their growth and no escape from government regulation reducing mechanization. Our group of nine agriculture students from across the Midwest consistently thought of small ways families could improve their farms and living situation. In many places our suggestions included simple adjustments like using wind breaks, cover crops, crop rotation, or reducing tillage. Diversifying their operations, and managing their inputs and outputs as well as building storage facilities would help improve production. With more resources the Bolivians could improve research at their universities, improve distribution of information and knowledge to farmers, and create co-ops to market their products. Our trip concluded with a debriefing in Washington D.C. where we were reminded that “culture eats strategy for breakfast.” The Bolivian culture is extremely laid back as their life isn’t about competition and continual improvement like we strive to attain in America; the strategies we came up with needed to fit into their cultural mindset. We acknowledged that we looked at their country with an Americanized view and their culture is completely different than the world in which we live. Living in a country with an amazing infrastructure, countless opportunities and available education, Americans take so much for granted. While there were many frustrating days in Bolivia, a few rewarding moments helped us all leave the country with optimism about the future. One of the last tours was spent with a family who raises sheep and canhaua, a crop similar to quinoa. They had three children, all pursuing university degrees who wanted to continue to improve their farm. During our visit, the father of the family said, “We want to produce the healthiest food for people that live in the cities and nearby.” Their methods differ drastically, but we connected with the Bolivian farmers on the simple premise that we all want to feed people. I left Bolivia saddened to see the inescapable situation in which some people live, but optimistic that our goals are similar. My hope for Bolivia’s future is improved infrastructure, progress towards mechanization that will keep workers safe and profitable and education for farmers that will help them understand sustainable cropping methods and business practices. I am optimistic that someday the children who looked out the windows will have access to education and won’t come home hungry. No matter how little we think we may have, we need to remember there is always someone who has less. 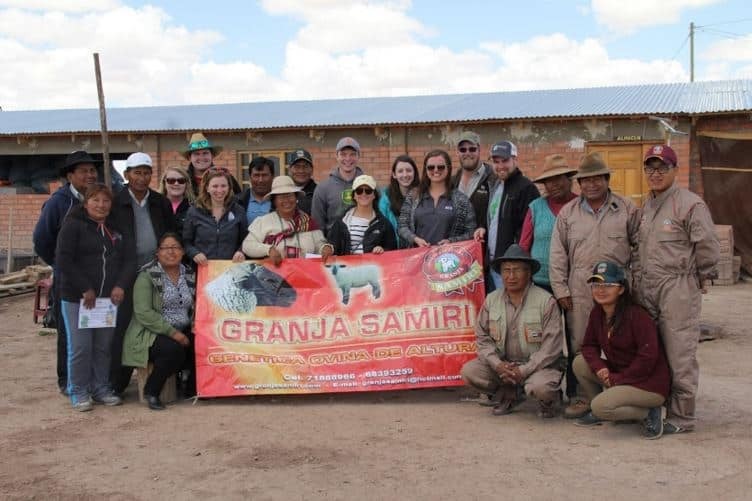 If you’d like to read more about our day-to-day experience in Bolivia or the other 40 Chance Global Fellow’s experiences, read the daily blog we kept while we were abroad here. « FYI-Dairy Bull Calves Aren’t Always Veal. 1 Comment on The Hungry Truth- Bolivia and Quinoa. This was a very interesting article. I hope you can help these people better their lives and have more for themselves, they certainly deserve it.